Anybody who has taught middle grades (generally speaking, 6th through 8th grades…. ages 11 through 14) know that it’s, well… a different beat altogether. There are so many interesting and wonderful things that happen during this time of development in the students’ lives. There are also many (many) challenges. This time period of early adolescence and the onset of puberty is marked by growing independence (and, with it, exploration of boundaries); a quest for both personal identity and social acceptance; and a lot of physical growth, emotions, and chaos that can accompany the sudden hormonal changes in the body. It is a special — but not altogether easy — time. Students are generally independent — you don’t have to explicitly hold their hands through mundane tasks like opening a book, tying their shoes, or operating a pair of scissors. They appreciate jokes and sarcasm that would be completely lost on younger kids. If all goes well, and you are an “expert cat herder” (not sure how you reach that echelon — after 14 years, I still feel like there’s always something to learn. Such is the nature of pure chaos, I suppose), then everybody survives to the end of the year relatively unscathed. Hopefully, the negativity and bullying have been kept to a minimum, the self-esteems have been kept mostly intact and (if you’re lucky) some semblance of learning occurred somewhere along the way. The problem is… “learning” is the least of a students’ concerns during middle school years. Hormones, self-awareness, a quest for acceptance, and insecurities all come bubbling to the forefront, and these things will turn even the most bookish of children into an educational train wreck in short order. Then came middle school. I stopped reading books as much… I still liked to read, because reading had been instilled as a joyous activity from a very young age. But suddenly I didn’t want to pick up a book quite as often. I also became obsessed with video games. I mean, obsessed, to the point where parents had to put time-limits on game time, and stories (all true) about “Nintendo thumb” were going around. Now, don’t get me wrong — I have been a computer nerd practically since birth, and I’ve loved video games since I discovered the Atari 2600 at about the age of 4 or 5. As a first grader, I would spend some of my free time designing some of my own video games (sketching out levels and characters on paper) for fun. When I turned 8, I started learning BASIC programming on our DOS computer to start making games for real. 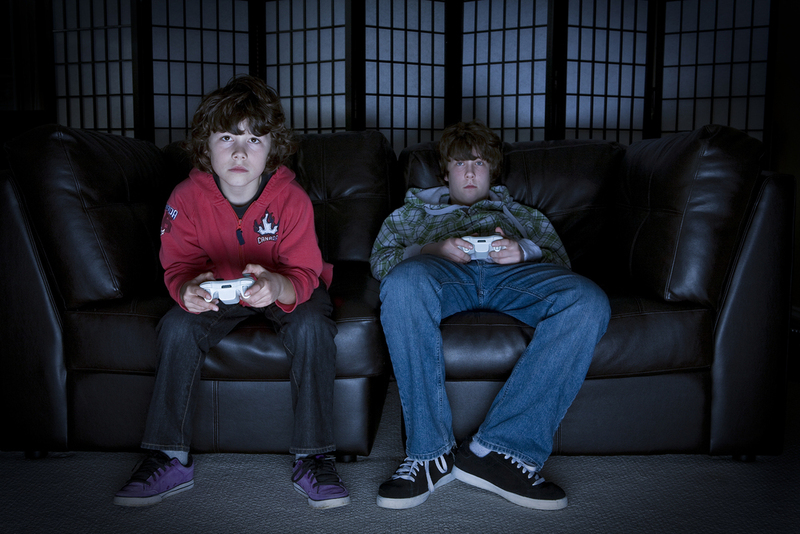 But something about adolescence turned video gaming from an interest into an obsession. To the point that I would go out of my way to check books out of the library and teach myself how to program the computer! Meanwhile… my grades were slipping in school. I wasn’t doing the homework. I probably wasn’t doing half of the classwork (it’s all kind of a blur.) I simply didn’t want to learn what they were teaching, nor via the way they were teaching it. And I had always been a good student! The reason for telling this personal anecdote is not to give one example of a middle school student. It’s to illustrate that, even though I was gifted, and even though we are all unique… my aversion to the type of work that I was fine with in elementary school (and would be fine with again later on, in high school and college) does not seem to be unique. The fact that I started struggling in (and hating) school once I got to middle school doesn’t mean I was lazy or didn’t want to learn! I asked for chemistry sets, microscopes, dissection kits, and art supplies every Christmas. I didn’t want to “learn” — I wanted to DO, to EXPLORE, to CREATE! I wanted to be an inventor, an artist, a Renaissance man… and school simply was holding me back from that! Notice anything about the above list? None of them require a lot of “sitting still and thinking” work. It’s not just about internalizing (such as reading a book)… it’s about hands-on… about kinetic activity and about creating things. And yet… what does school traditionally expect students to do? A lot of “sit still and think” work: Read a book. Write on a paper. This is not kinetic, it’s not creative. It’s not good for middle school. So, I get frustrated that we have to do more mundane “traditional” learning tasks, which the kids hate (and, frankly, aren’t as fun for me to teach, either), and then I think back and realize: I, too, loved the same things these kids love when I was that age! The only things I remember learning from middle school are: art, music (I was never much into music as a kid, but then loved playing with and getting to hands-on explore the electronic synthesizer in that class! ), cooking/home-economics, and industrial arts/woodshop… plus memories of a few cool labs/experiments in science (an astrolabe comes to mind.) In other words, the only things I even remember from middle school were the hands-on activities! This is not the norm for me. I did great with just plain reading and writing and arithmetic all the way up until 5th grade. I did great with them in high school and college — I read a lot, and even joined the Writer’s Club and Literary Magazine. But such activities were dead to me when I was in middle school! So the sticky wicket preventing excitement and success in middle school seems to be this: Perhaps we should stop doing standardized testing during middle school. There, I said it. There are a lot of people (mostly teachers, students, and parents) who would laud that statement because they are vehemently anti-standardized-testing, in general. Well, I’m not one of them. I actually think that, by and large, standardized tests are a pretty good thing. Without standardized testing, every school (perhaps every teacher) can just make up its own criteria for what students “should know” — this leads to discrepancies in knowledge (a problem when heading into college and workplace) as well as grade inflation, unfair competitive advantages, and — worst of all — incompetence. However, it seems to make very little sense that we avoid testing primary students (a time period during which it is critical to ensure students are getting a good foundation in key skills like reading) — and many grades of high school (CAASPP only tests 11th grade; why not 9th and 10th, when those are time periods when the hormones tend to settle down and students return to “normalcy” and ability to better process and handle academics? ), while we insist on placing so much testing weight during one of the most chaotic, tumultuous, and, well, “unique” times of a person’s development. It seems like it would make a lot more sense to do standardized testing in grades one through five — a time span in which, in my experience, students are pretty content to be at school, and reading books, and doing the traditional “school work” and, therefore, a more apropos time to be testing those traditional skills. Then… when a natural “hiatus” (onset of puberty/adolescence) occurs in students’ developmental growth, perhaps it makes sense to take a “hiatus” academically, as well, and shift the focus. Adolescents are energy — pure, untapped, potential energy! When I have strayed from the curriculum and done “grown up” skills with them — teaching them the actual, professional tools and techniques to make business documents and spreadsheets, create 3D CAD models, program computers, build robots, design airplane wings (air foils), conduct experiments, produce movies and animations and plays, and create works of art — they plug right in! The motivation and the results can be astounding! Rather than fight the current of resentment and rebellion and quest for independence, why not go with the flow of what the kids already want to do: they want to feel they are productive and doing authentic, grown-up things! Let’s give them the opportunity to make that happen! Instead of doing the traditional book (or ebook) and pencil-and-paper (or finger-to-keyboard) work, perhaps a shift should be to what I will call “New Vocational Education.” The reason I call it this is because we want kids to learn future-ready, real-world relevant skills. Not just basket-weaving and fingerpainting. However, this could include a lot of different things, from modern construction techniques (including old-school woodworking), to mechanics, to more high-tech engineering: biotech, circuitry/electronics, industrial design (CAD, 3D printing, etc. ), cooking, coding, and more. Project-Based Learning is a fairly good fit for this, but is also fairly ambiguous. Often, the projects are not authentic — they don’t actually serve a purpose or solve a problem in the real world. Middle school students can see right through that, and often call it out for the “waste of time” that it is. Perhaps a better idea is “Apprenticeship.” What would be wrong with plugging middle school students into authentic work to be done in 21st century jobs? Just a bunch of food for thought, but I’m pretty sure of this: something’s got to change. In the United States — as in many cultures around the world — doctors hold a highly esteemed position. It is a career that is not only well-paid, but also well-respected by society as a whole. All of this is well-deserved! Doctors are very important people: staying healthy and alive are… well… essential for survival. Obviously, it is very important to have people who are knowledgable and well-versed in examination, analysis, identification, and treatment of an ailment. Without them, we would not survive nearly as well. And here’s some fun food for thought: without education, there would not be doctors! I was never regarded in these ways when my primary occupation was a software engineer. I was considered “intelligent” and “successful” — someone to be respected. Yet I was the same person, doing a job that was no more important — nor any more difficult — than teaching. Only… people are not machines. They are human beings — perhaps the most complex “machines” in existence. And knowledge of fixing them doesn’t boil down to knowing the ins-and-outs of several different makes and models. Essentially, every person is a different make/model. Imagine how difficult it would be for a mechanic if every single car they worked on was different and unique! But in education, that’s exactly what has to happen. Learning requires two parties: the deliverer (teacher), and the recipient (student.) Both of these parties are responsible for fulfilling their roles to make learning happen. The teacher has to (a) manage a classroom, creating an environment and controlling behaviors of a group of people to an extent that learning can occur; (b) analyze and identify where gaps in knowledge exist; (c) prescribe a solution (instructions, lessons, activities, practice) that will fill that gap in knowledge. The student, however, also has to (a) follow the “prescription” of tasks assigned by the teacher, and (b) nope, that’s about it. But it does mean that the student has to do something — it’s not all up to the teacher. Like doctors, teachers identify a problem, and then prescribe a remedy. So… what if a doctor correctly diagnoses an illness, and prescribes an appropriate remedy accordingly? Do we hold a doctor liable if her patients refuse to take the prescribed medication, and end up dying? Do we hold a doctor liable if he tells his patient to stop drinking alcohol, and the patient refuses and ends up with cirrhosis? No? Why, when test scores are low, is it automatically “the teacher’s fault”? Do doctors get blamed if their patients don’t take the medicine? Do they get offered “merit pay” if their patients do? Nope, because it is patently absurd. Why aren’t teachers treated like doctors? I’m not asking for teachers to get paid the same as doctors. All I’m asking is for a little respect, some understanding of what education actually entails, and a recognition that teaching is a challenging — and very important — job. Happy Earth Day – Time to go Paperless! Posted on April 22, 2016 | Comments Off on Happy Earth Day – Time to go Paperless! Happy Earth Day from the paperless classroom! American schools use nearly 100,000,000,000 pieces of paper per year! Going 1-to-1 with technology devices actually saves money (!) versus using old-school, traditional materials. Comments Off on Happy Earth Day – Time to go Paperless! Morning Warmups / Entry Routines / Bellringers – 1:1 Style! Posted on April 20, 2016 | Comments Off on Morning Warmups / Entry Routines / Bellringers – 1:1 Style! To be meaningful, there has to a way to check the work and see how they did — this eats up precious class time because, usually, you have to have a little review or peer-grading session to go over the answers. Students can get individualized practice — sometimes they can get remediation and assistance if they need it, other times they may be advanced students that can rise to new challenges by moving forward at their own pace. You usually get instantaneous data/feedback about how the kids are doing, what they may still need practice with, and what you might need to reteach or provide personal assistance for. If you are a single-subject teacher, it can be pretty easy to decide upon a daily warm-up routine. For math, it could be math facts or drills. For English, perhaps they sit down and write in a journal or do some typing practice. In Social Studies, perhaps they do a “current events” news-reading activity. In Science, perhaps they do note review or flash-card style scientific vocab practice. But what if you are a self-contained multiple subject or elementary teacher? Well, I fall into the latter camp (even though I teach “middle school” grade level – 6th grade), and it’s really hard to decide what to have the kids practice because, realistically, they need to practice and improve in nearly every subject! Well, you have a few options: (1) do multiple warm-ups every day! Keep the same sequence, such as math practice, then reading activity, then daily writing log [this is what I was doing for a while, because my students really seem to always need more practice with all of the basics! ]; or (2) you can have a theme/topic for each day of the week, so that you can spend a little more time focusing deeper on one specific skill. This is the new format I am going to try! Xtramath.org – speed-building and mental math of “math facts” – addition, subtraction, multiplication, division. SumDog – The kids love this game because it is multiplayer online, so they can play against their friends… and there are lots of games/activities choose from. However, because it can get a little exciting/distracting, and because they like it so much, I don’t use it as a warmup activity — I save it as a whole-class reward for working hard and getting our other work done in a timely manner. Prodigy – This is similar in the sense that it is also very engaging and high-interest. It is a multiplayer RPG (role-playing game) with fun anime-style graphics. Students like being able to choose character name and avatar, collect treasures, and “level up.” However, similar to SumDog, I reserve this as a may-do activity that students can opt to play when they are finished with the rest of our required work. 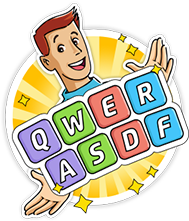 TypingMaster (now called TypingQuest) – Cloud-based touch-typing tutorial program including lessons, games, and administrative assessment/data-logging tools. Tuesday Newsday: My students also need a lot of reading practice, and we use Newsela.com to have students read leveled/differentiated news article that come with short written response prompts (such as “main idea”) and Common Core comprehension quizzes that focus on vocabulary, finding supporting evidence, summarizing main ideas, etc. Quill.org – Free practice of English grammar / mechanics, including skill builders as well as proofreading exercises. 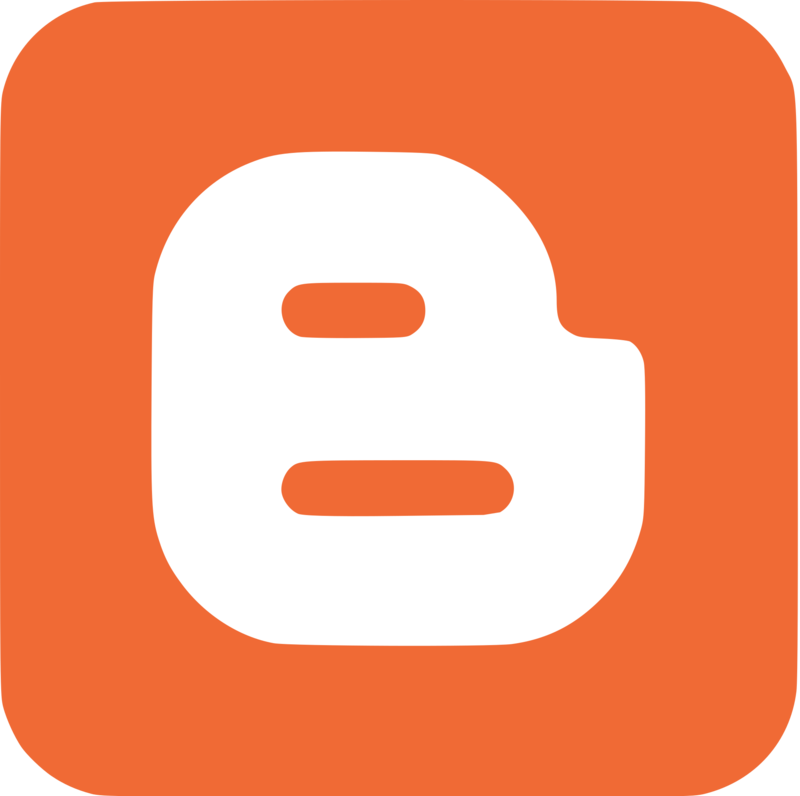 Blogger.com – Students have their own blogs which they use as journals for writing responses to daily or weekly writing prompts. There are other blogging tools out there, but Blogger is owned by Google so it is very easy to use if your students have Google accounts! Currently, we are using EducationCity.com (subscription fee) site to do this, since the student accounts still exist and it is easy to access skills by grade level… but any site that allows to find standards by grade level (such as IXL.com) would work. Film Fridays: Film Fridays arose from two challenges: (a) We want to sometimes show movies or videos related to what we have been learning (social studies units, novels we have read, etc. ), but it can be difficult to justify spending the time doing so and finding the time to fit it in; (b) We wanted an end-of-week enjoyable activity that would reward those students who have been working hard all week and completing all of their work. So we have reserved showing movies for Fridays, and students who have been on-task and have all of their work done for the week get together as a whole grade level to watch. Meanwhile, our teaching team takes turns hosting a “Study Hall” in a different classroom, where students who have not completed their work for the week can go to get it done while the others watch the film. Where do we get our movies from? Discovery Education – This contains basically Discovery’s entire library of educational videos and documentaries. We use this mostly for science and social studies concepts. YouTube – When all else fails, there’s YouTube. (Or, maybe that’s the first place to look — but the above two usually have better materials for school.) What, you’ve never heard of YouTube?? Comments Off on Morning Warmups / Entry Routines / Bellringers – 1:1 Style! So, what’s wrong with this picture? Nothing, in itself — a student has come up to the front of the room to show what she knows, and the teacher can analyze it and use it as an example for the rest of the class. It’s a great activity for the above purpose, and this student is probably getting a lot out of it. But… what about the other 20-30 students in the class who are patiently (or not so patiently) waiting for her to finish? What are their brains doing during this time? Are they really examining closely, thinking, and processing like the girl at the chalkboard is? Does the teacher have any way to know what they are thinking? Does the teacher have any way to know if this one student’s abilities reflect the same level of understanding as the other students in the class? All of the questions above highlight that we can improve the ways we do “show what you know” formative checks and practice! And we can do so by “getting with the times” and using some modern technology! Chalkboard and whiteboards were great for the times they were invented… which were centuries (chalkboards) or decades (whiteboards) ago! While reading my students’ blogs recently, I noticed that the kids were still having a lot of difficulties with certain grammatical and writing skills I wanted them to master (despite having done grammar lessons, plus practice at sites like Quill.org) Particularly, students were not using commas appropriately in sentences (for lists, yes; but not for direct-address, prepositions, appositives and compound sentences.) I decided I needed to do some quick practice, reteaching, and checks to see who “got it” and who still needed help, or whether I needed to reteach a subject to the whole class. I wanted something like calling students up to the front of class to show their work, but I wanted it to be faster and easier and to engage all students, not just one or two at a time. My first instinct was to create a shared Google Doc, but I realized it would be very difficult to have 20 students simultaneously type on that — they would probably be overwriting each other’s work, moving things around inadvertently, and/or copying work from what they see another student writing. Make Writing “Social” With Student Blogs! Posted on April 18, 2016 | Comments Off on Make Writing “Social” With Student Blogs! Here’s the solution: Daily writing! Doing short writes in a journal (or blog) every day makes it a more fun, casual experience, and it actually saves time because you can (a) randomly select a few students to use for analysis/examples in front of the class, and/or (b) pick and choose which topics/skills you want to grade. Doing this the “old school” way in a journal was good; doing it the 21st century way via an online blog is even better! What advantages does blogging provide? Builds 21st century communication, collaboration, and technology skills. Makes it easier to view student’s work… instead of collecting journals, you can just click and link and voila! Encourages best effort and pride in work because it is more of a “social network” style format! By having an audience — and a global one, at that! — students find it both more motivational and more enjoyable. You simply guide students through the process of signing in, creating a blog (they will need to specify a blog Name/Title and URL address; I instruct them to use a specific format for each of those), and then click to add a new entry! The editing tools are pretty basic, similar to Google Docs and other text editing tools. The main difference is: you need to make sure to Save your posts and, when it is ready to show online, you have to click PUBLISH to make it visible to other people! However, as time went on and we did bigger writing projects, I found that I wanted students to practice and master specific skills — in our case, they needed a lot of improvement with descriptive writing, narrative fiction, persuasive arguments, and dialogue format — so I created some of my own fun prompts to address those needs! Click here for the living and growing Google Doc of my 6th grade prompts. Click here to read our current student blogs! Tell students what you want the web address (URL) and title of their blogs to be. This will (a) prevent inappropriate words or names, and (b) allow you to easily find their blogs if you need to. Be sure that students aren’t using too much personally-identifying information. I have students use first names, but no last names, for example. Comments Off on Make Writing “Social” With Student Blogs! Just a quick note to say that, even though things have been super busy this year, this blog is not dead! Although I am very logical, technical, and serious about teaching, many people (especially my students) are surprised to discover that I also have a whimsical, theatrical side… and a sense of humor. Fraction math is one area that has always seemed a bit esoteric and ambiguous to the kids –not to mention understanding why fraction multiplication and division are so useful and important. One of those realms is in scaling recipes (chefs and caterers constantly multiply fractions)… but why make some regular old food recipe* when you can bring some magic into it? * I do, in fact, have another character who reinforces fraction math via creation of actual food… like gingerbread minions! His name is Dr. Friedrich von Kookie, but that’s for different post.. Comments Off on The paperless classroom test results are in… and they are good! Don’t Just Play on Your Phone, Program It! 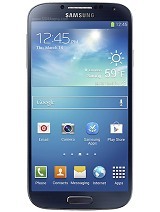 Posted on May 13, 2015 | Comments Off on Don’t Just Play on Your Phone, Program It! The title of this post is a quote from President Barack Obama, as he kicked off Computer Science Education Week in 2013 by urging kids (and students of all ages) to learn problem-solving STEM skills — specifically, learning how to code. I have a long love affair with coding (I prefer “software engineering” — coding is like writing a sentence, but engineering, well… engineering is like writing a book; engineering is true problem-solving) — it began in 1986 when I was 8 years old, teaching myself how to create video games using MS-BASIC on an IBM 286 PC running DOS. Like many kids, I liked loved video games — first the Atari 2600, then the Nintendo NES — and a realization grew in me that I could make computers do what I wanted them to do, and that was an awesome idea, even to 8-year-old me. I have recently been giving some conference presentations about how to jump in and get kids programming, but it wasn’t until now that I have found an excellent way to actually use coding and app development as an authentic product to assess learning of science concepts, directly integrated in with our science standards. It began when I exposed my students to MIT App Inventor, a free online resource that allows you to create actual Android apps using a simple blockly-style interface, familiar to anyone who has used Tynker, Scratch, or Code.org. 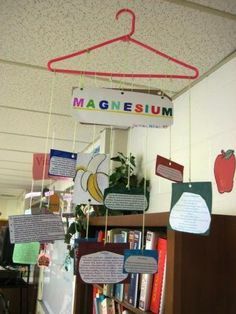 So when I saw that my colleagues had put together a science project including creation of a mobile (you know, the dangly arts & crafts kind you probably haven’t made since 3rd or 4th grade, in which things are suspended from a clothes hanger), something clicked in my head. Why show your knowledge through a mobile when you could demonstrate the same knowledge — in a much more engaging way — via a mobile app. My thinking is this: if the kids are just as excited about an authentic production tool as they would be about an arts & crafts project, and the end result demonstrates the same — or superior — understanding of the content knowledge… then why not do the project that incorporates relevant 21st century skills which could potentially prepare them for future college and careers? So, we have begun creation of “Animal Expedition” — a simulation game for Android devices, in which you must rescue an animal by relocating it to a suitable environment. This project covers science standards related to ecosystems, abiotic and biotic factors, energy pyramids and food webs, symbiotic relationships, and more… all while learning real-world-relevant skills of mobile app development. Stay tuned for finished product…! Comments Off on Don’t Just Play on Your Phone, Program It!